For over 20 years Evalash founder, Quyen Nguyen, diligently researched industry best practices to create the ultimate eyelash extension product. She pledged to provide a quality product at a price point more suitable for clients who don't have the celebrity bank accounts. Her research resulted in the introduction of a new, light-weight, human-like synthetic lashes the market had never seen before. Once applied, Evalashes are visibly fuller, sexier, and comfortable to wear. Although the product is receiving positive testimonials from her clients, she continues to work on improving the eyelash design and application techniques, and expanding her line of products specifically for eyelash extensions. 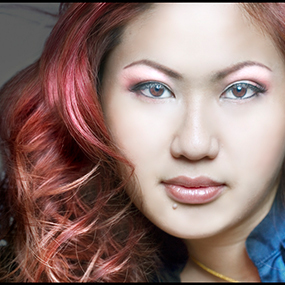 She shares her vision with others by providing eyelash extension training courses.